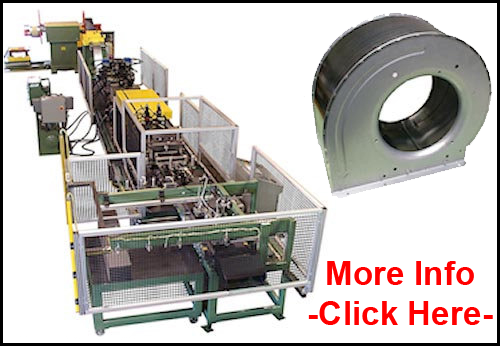 Thank you for visiting the American Sheet Metal Equipment site. 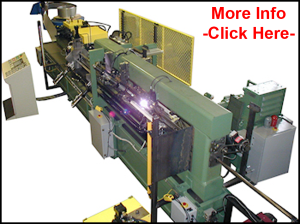 American Sheet Metal Equipment has been producing top of the line sheet metal fabricating equipment for over thirty years, offering quality systems at a reasonable price. Our high standards keep our customers coming back. 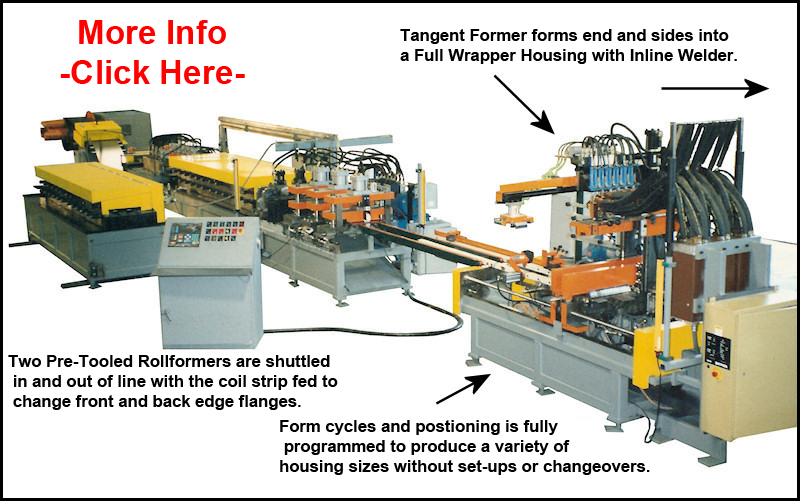 & Punch, Rollform & Programmable Tangent Wingform Endform three sided Wrapper Cabinet. 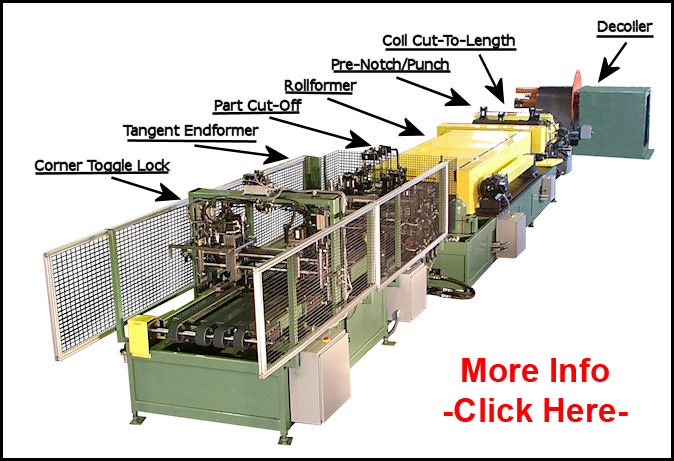 Unique in the industry, we offer a full line of Sheet Metal Fabricating Equipment, including Roll Forming Machines, Tangent Benders, Endformers, In-Line Punching, Notching, Slitting, Louvering, Embossing, Welding, and Assembling. 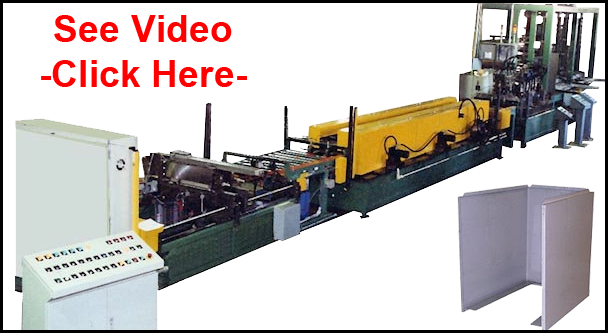 Our Machines are all engineered and manufactured in-house, and our complete line of equipment minimizes material handling, and greatly facilitates just-in-time production, which will also minimize your inventory and warehousing needs. 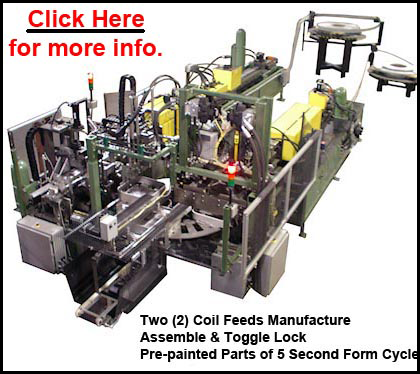 Complete Coil Feed System to manufacture Shelving 18 gauge galvanized mild steel.